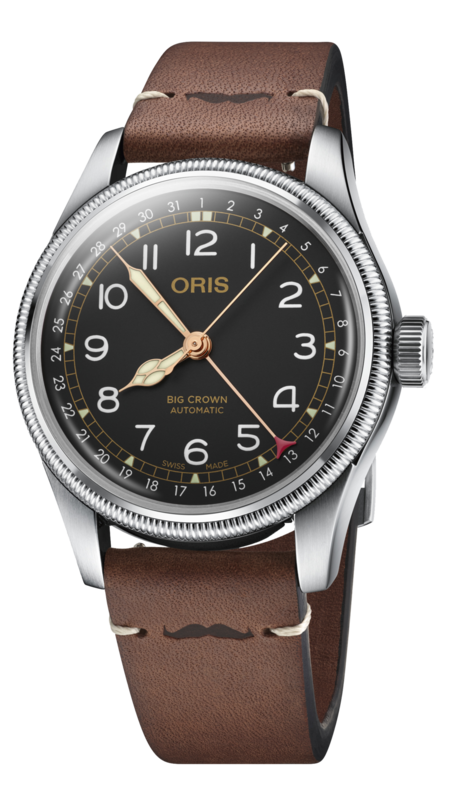 Through the Oris Movember Crew and through sales of the new Oris Movember Edition (pictured, left), Oris has set a goal of raising CHF 100,000 for the charity this autumn.The Movember Foundation was founded in Australia in 2003 with a mission to ensure men live happier, healthier, longer lives. In the years since, more than 5.5 million men and women – Mo Bros and Mo Sistas – have taken part in Movember across 21 countries. To date, the charity has funded more than 1,200 men’s health projects. Its goal is to reduce the number of men dying prematurely by 25 per cent by 2030. Movember ‘Mo’ logo, pin buckle. 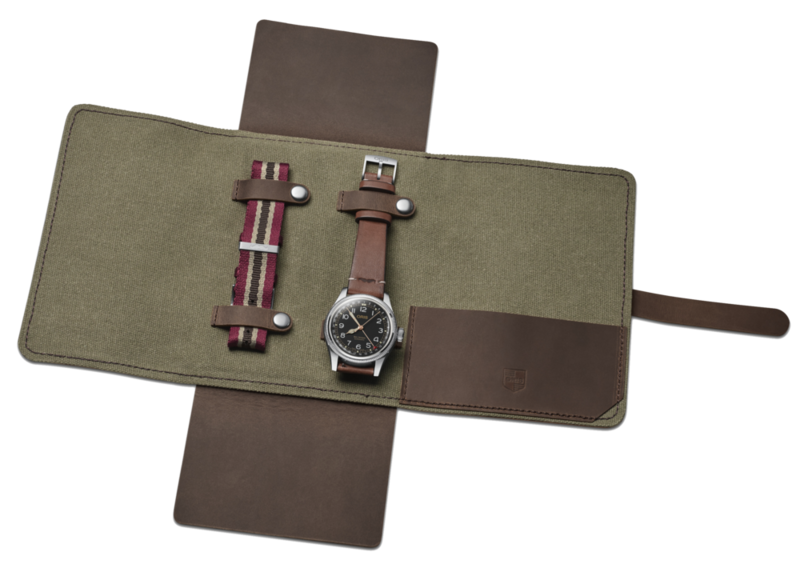 Second fabric strap supplied with watch.